It’s safe to say Paul McBeth owns the Memorial Championship. 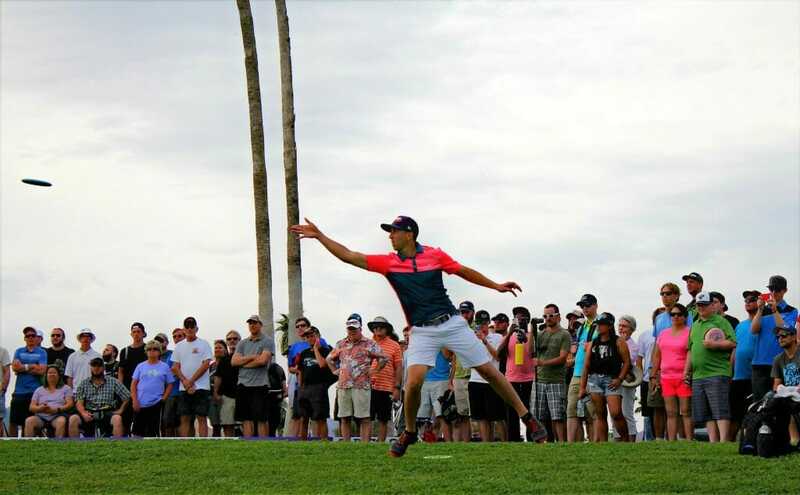 The four-time PDGA World Champion became a five-time Memorial Champion on Saturday, his final round 11-under par 45 at Fountain Hills bringing him to a 40-under par 187 total after four days in Arizona and netting him $4,000. The effort was enough to hold off a resurgent Simon Lizotte, whose 10-under par 39 brought him one shy of McBeth with a 39-under par 188 overall. Ricky Wysocki, still struggling to recover after a scoring error cost him two strokes before the beginning of round three, also battled to a 10-under par final round to finish in third place with a 36-under par 191, while Dave Feldberg’s 12-under par 44 day saw him climb into fourth place with a 35-under par 192. Cale Leiviska and Nate Sexton rounded out the top 5 with 34-under par 193s. McBeth has now won the Memorial two years in a row and has only lost at the event twice in seven attempts. On those two occasions – in 2013 to Will Schusterick and in 2015 to Jeremy Koling – he lost by a single stroke in a playoff. And he got that putter started early Saturday. After Lizotte’s drive on hole 1 found a home in Fountain Lake, McBeth landed his drive 25 feet from the pin. 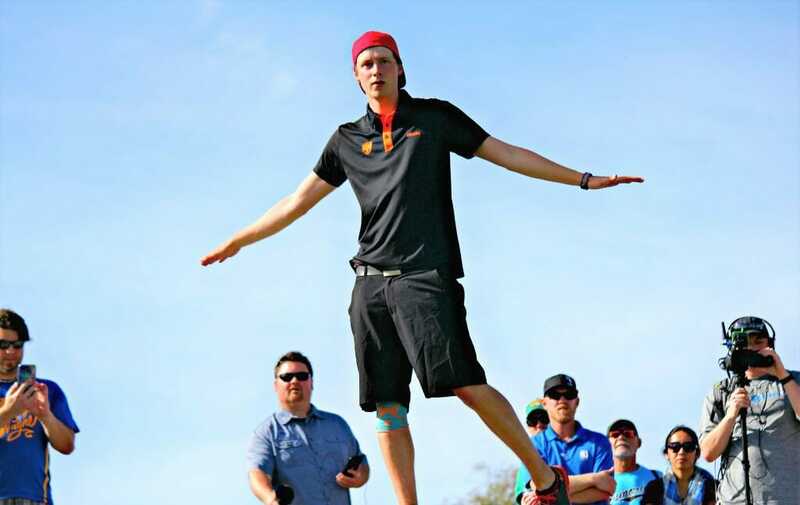 He converted for birdie, while Lizotte took a bogey to lose two strokes from the jump. On hole 2, after leaving his upshot behind a tree, McBeth straddled out to the left and hit from 35 to match Lizotte and Wysocki, who both left themselves with easy putts for birdie. The volleys continued for the next few holes, with Lizotte taking his turn on hole 3 and connecting from 30 feet to keep pace with McBeth and Wysocki. On hole 4, McBeth kept his drive safely in bounds, but short of the pin by about 40 feet. Wysocki flirted with an OB curb but managed to stay in bounds, while Lizotte went into the street to notch a penalty stroke. McBeth, then, converted his birdie putt to further extend his lead. Though McBeth spent much of the final round placing his drives close enough to the pin to tap in, he looked much more comfortable putting from longer distances than at any other point in the tournament. He only missed one makeable putt from his straddle stance — a 20-footer on hole 5 that grazed the left side of the chains — and drained several from circle’s edge throughout the round. Instead, the people got what they did want: a tight contest coming down the stretch. After the card took birdies on hole 6, McBeth ran into his first bit of trouble on hole 7, a short 210-foot hyzer shot where the basket is perched on a peninsula. After Wysocki went OB off the tee and Lizotte put his drive to within 10 feet, McBeth left his shot too low, where it clipped a branch. The tree-trimming caused the disc to slow down and land in the water, and he missed his ensuing 60-foot bid to save par. With Lizotte cleaning up an easy birdie, the two-stroke swing tied the score once again. Another Lizotte OB on hole 9 brought McBeth back up a stroke, while Wysocki lurked three behind after his second straight par. McBeth then put his drive on hole 10 within 15 feet of the pin, while his counterparts each missed their birdie putts to lose yet another stroke. Lizotte took one back on 11, but by the time Wysocki’s birdie bid on 13 splashed out to leave him five shots off the lead, it was down to a two-horse race. And that race certainly brought some sizzle. Lizotte hit a 35-foot downhill putt on hole 14 to seize a birdie and keep pace with McBeth, whose drive skipped and curled to within 10 feet of the pin. On hole 15, McBeth sprayed his drive wide and onto a nearby teepad, then hit low off the cage on his comeback attempt from 45 feet. Lizotte, meanwhile, parked his drive and clawed the margin back to one. Lizotte again broke out another phenomenal drive on hole 16 — where he three-putted in round one — bouncing his shot off the pin. McBeth almost did the same, the two unrelenting in their pursuit of the win down the stretch. Heading into hole 17 still only one back of McBeth, Lizotte left his drive wide, about 60 feet from the pin. With McBeth landing about 30 feet out, Lizotte was forced to run for the deuce and airballed his putt wide right. McBeth converted for birdie, extending the lead to two and giving him the luxury of laying up his drive on hole 18. An upshot and an easy 3-footer later, and he was taking home the win. Though his efforts at the victory came up short, Lizotte was more than happy to have notched a second place performance in only his second appearance since a season-ending knee injury last July. McBeth, who had fallen shy in his efforts to chase down Wysocki the week prior at the Gentlemen’s Club Challenge, said playing with the lead in the final round for the first time this season brought a different feel to the event. Wysocki said his round came down to a few putts that didn’t quite stick, which allowed McBeth to play with less pressure. Still, he admitted that he had a difficult time getting past the two-stroke penalty from the prior day and that he let it affect him mentally. Still, he wasn’t ready to let the incident, or another loss at the Memorial, derail an otherwise strong start to 2017. Feldberg, who shot three of his four rounds above his 1031 rating, said the 11-day slog of back-to-back tournaments left him tired, but that he wasn’t feeling any ill effects from his neck surgery last year. And while Lizotte said earlier in the week that he wasn’t declaring himself “back,” he had changed his tune by the end of the tournament. The Disc Golf Pro Tour resumes in two weeks at the Waco Annual Charity Open in Waco, Texas. 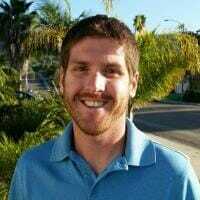 Comments on "McBeth Wins Fifth Memorial In Seven Years"